Have you noticed how expensive food has become- especially those made from grains? Cereals, bread, cookies - even crackers. My gosh! The price of a 4 oz. box of plain water crackers was $3.79. I couldn’t bear to buy it, so I kept on looking. I wanted a cracker that was special, but not so special that I’d have to take out a loan! Then I spotted an attractive cracker box - not much bigger than the $3.79 box that I refused to buy. This box had eye-catching yellow and aqua packaging with splashes of red highlighting the “low fat”, “no cholesterol” claims. 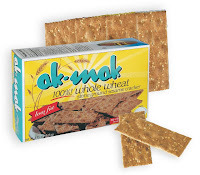 The cracker’s name is “ak-mak®”, a 100% whole wheat, stone ground sesame cracker. Sounded good to me. As if that weren’t tempting enough, I turned the box over to discover the Food Guide Pyramid (the old version; the manufacturer needs to update that! ), and an entire story about the crackers and the company that makes them. 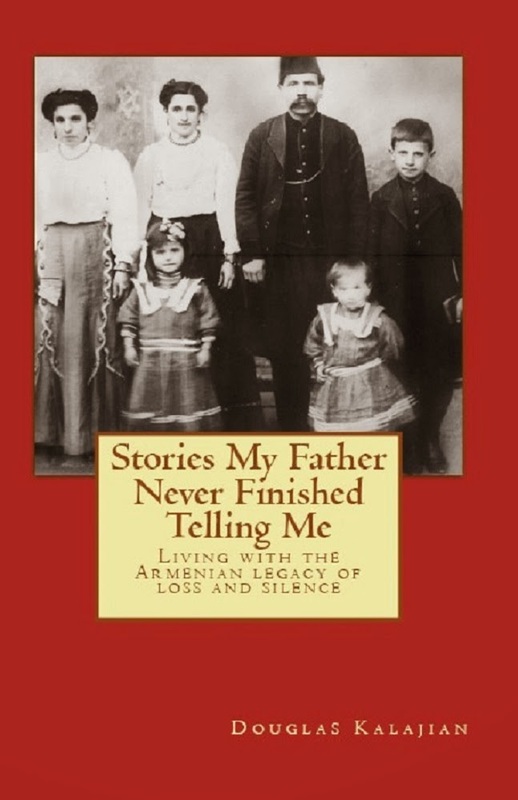 I was delighted to find out the bakers are of Armenian descent! That’s not the end of the box’s information. 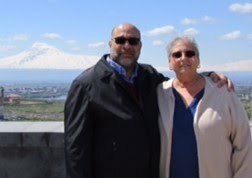 There’s a history lesson, too, mentioning the staple foods of China, the Orient, South Americans, Armenians, Greeks, Romans, and those of the Holy Land - going back some 4,500 years. Certain Bible verses are quoted on the back of the box, as well, “to show that the ancient peoples considered cereals to be vital to life and living”. If that wasn’t enough to make up my mind, the size of the box and price clinched it - 4.14 oz. for only $2.79! A veritable bargain - how could I resist? For more information and recipe ideas, visit the company at www.akmakbakeries.com. If you are so inclined, you can even submit your own recipes using their products. Thanks, Soojian family. Keep up the good work! Ak-Mak are awesome! When we would have get togethers in college, the height of 'chi-chi' food was Ak-Mak spread thin with cream cheese (cut with some sour cream to make it go further) and some sprinkles of Mrs. Dash seasoning...man, we were living! Boy, L.G., that sounds like a healthy, tasty snack! I was telling a friend about the ak-mak story the other day. She told me how she LOVES these crackers, too, however, she was able to buy them at a store called Trader Joe's (in NJ) for something like $1.69 a box. I surely couldn't top that price! That does it! I'm moving to LA (or visiting) just to buy Ak-Mak, and quince!! We have Trader Joe's in Sacramento, too...I mean, if you're moving and looking for a great place to live!